Enter your email address below to receive a notification when The Flower Shop starts accepting new sign-ups! Enter your email address below to receive a notification when The Flower Shop is accepting new sign-ups again. The first box ships by the 14th of each month. Every monthly flower box that follows will ship the 2nd week of each month. 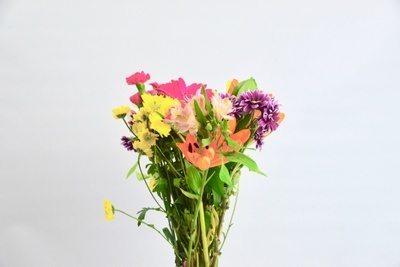 Bundle of fresh flowers in a simple monthly box. 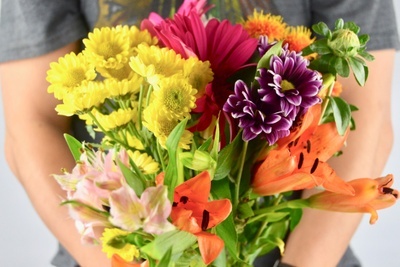 The Flower Shop delivers a custom crafted bundle of flowers in a simple monthly package. 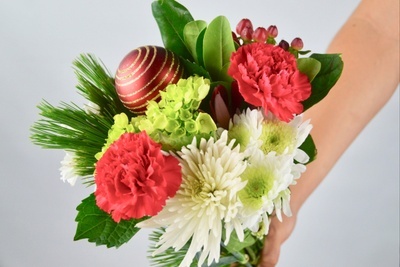 Flowers are shipped monthly from Southern California to your door. We are right near the growers allowing us to pick the healthiest and most unique flowers for our uniquely themed box every month. 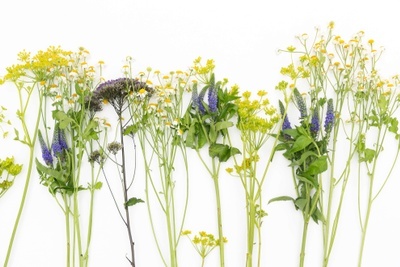 Expect a generous bundle of flowers that will go well anywhere. Thank you for the beautiful flower gift 🌹I just love it! Perfect size flower bouquet for my living room. I received my first flower box today and I could not be happier. The flowers I received looked freshly cut. I expect they will last a while in my living room before they start to wither away. I'm excited to see what they have in store for my next box! Flowers arrived dead and wilted!! Gave this subscription as a gift... so embarrassed. I got the arrangement subscription as a anniversary gift from my husband, and I love it so much! The flowers are very beautifully arranged and comes wrapped in brown craft paper which is so much more unique and expensive looking then cello papers! Also bonus points for the flower food! I'm going to have to send a link to all my girlfriends' husbands' now! I’ve just got a flower box💐So beautiful! Wonderful flower & wonderful service💖I will tell my friends!! Just received my second box and it is great! Customer service got back to me quickly when my first box came a little damaged but they got it replaced right away! Great service and recommended this box to my family. 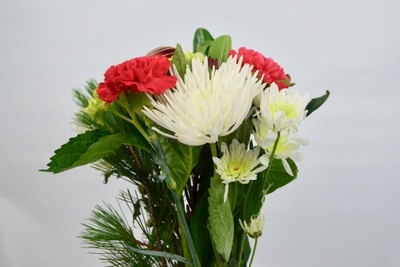 The image on the site shows a bouquet. We received 3 flowers and baby breath. The flowers were dead and wilted. HI Vincent, Very sorry about this. We have a policy to send replacements for all dead flowers. Also, it looks like you chose the 3-5 stem version which will come with a rose and a few other flowers. For a full bouquet, please subscribe to the 10-14stem option that will come with a full bouquet. Sorry for the inconvenience! At first, I was a bit skeptical of purchasing this because of the shipping. I did not think the plants would arrive in good condition. I must say I was pleasantly surprised. My flowers arrived in great shape and lived for a long time. It was beautifully packaged and arrived intact. Looks great in any vase! We're excited for the next one! A great gift idea.